This expansive 10,000 square foot residence has the ultimate in quality, detail, and design. 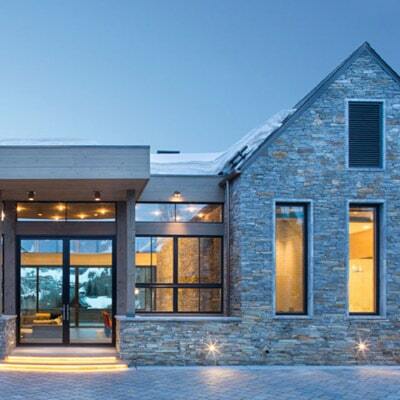 The mountain contemporary residence features copper, stone, and European reclaimed wood on the exterior. Highlights include a 24 foot Weiland glass door, floating steel stairs with a glass railing, double A match grain cabinets, and a comprehensive fully automated control system. An indoor basketball court, gym, swimming pool, and multiple outdoor fire pits make this home perfect for entertaining.The home was built on a fast track process of only 14 months, 30% faster than a home of this size and detail normally would have taken.